The wet, spring weather is finally here! If you're interested in any landscaping projects this year please connect with us to schedule a free consultation. 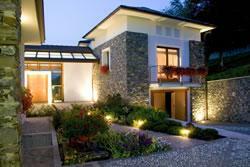 We are a landscape design/build company that strives to go above & beyond your expectations. 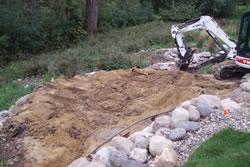 We can install & maintain your landscape. From planting perennial beds to building engineered retaining walls, we want you to choose Timber Creek Landscape, Inc. We offer a full 7 year warranty on all hardscape installations(brick pavers & retaining walls). We are true believers in going green so all available materials are recycled. Soil, concrete block, timbers, railroad ties, decorative rock, plastic garden pots, even used motor oil from trucks & equipment is properly recycled. 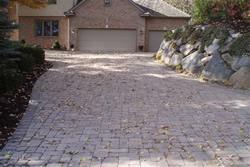 Our mission is to make you a customer for life by providing excellent management & workmanship. In doing this we want you, our customer, to feel comfortable in referring us to your family & friends.